It's not where you are at today or where you came from but where you will be at tomorrow. Cesar Millan born César Felipe Millán Favela in August 27, 1969 is a Mexican-American dog behaviourist. 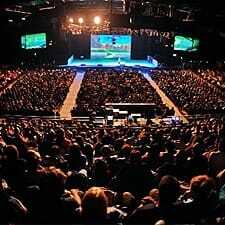 He is widely known for his television series Dog Whisperer with Cesar Millan, broadcast in more than one hundred countries worldwide. 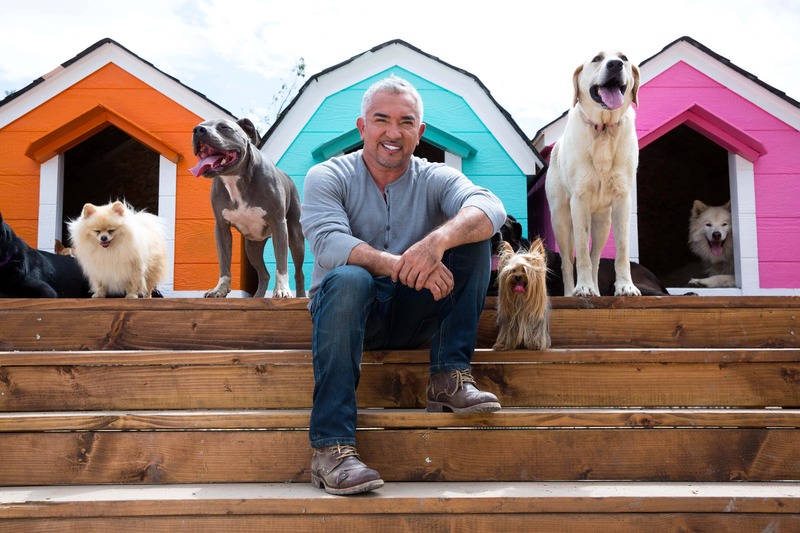 Prior to The Dog Whisperer series, Millan focused on rehabilitating severely aggressive dogs and founded the Dog Psychology Center I in East Los Angeles which later moved to its permanent home in Santa Clarita, California. With more than 25 years of experience, world-renowned dog behaviour expert and New York Times best-selling author Millan one of the most sought-after authorities in the field of dog behaviour and rehabilitation. A New York Times #1 best-selling author and accomplished global public speaker, along with being an internationally acclaimed star of several hit TV series, Millan is also an entrepreneur with an innovative product line under the Cesar Millan brand. Millan was born in rural Culiacán, Mexico. He spent much of his early childhood on ’the farm his grandfather worked in nearby Ixpalino, where he observed the behaviour of the farm’s many dogs. In December of 1990, at the age of 21, Millan, who spoke no English, crossed the border into California. He landed his first job grooming dogs, soon gaining a reputation for his calming effect on even the most difficult dogs. Actress Jada Pinkett Smith became one of Millan’s first clients and supporters when he started his first Dog Psychology Centre located in a sketchy neighbourhood. When he told her that he wanted to be on TV, she provided him with an English tutor for a year. Having started out as a poor farm boy who immigrated to America with no money at all, Millan also got involved in the ‘It Gets Better’ campaign in the 2010s because he personally resonates with it. It got better because he “stayed focus on what he really wanted,” and that was to be the world’s greatest dog behaviourist. In 2002, Millan was profiled in the Los Angeles Times. Following the profile, Los Angeles-based production company MPH Entertainment and Emery/Sumner Productions called upon Millan with the idea of creating a TV series around his unique practice, which helped catapult his career and made him a household name. Millan has been recognized with numerous awards throughout his career, including being nominated three times for a Primetime Emmy Award for Outstanding Reality Program. He continues to be recognized and awarded by rescue and animal welfare organizations for his commitment to the betterment of animals and their relationships with people around the world. Millan had also been awarded an honorary master’s degree by the Bergin University of Canine Studies. Millan’s very first TV series, “Dog Whisperer with Cesar Millan” which launched him to international fame as he rehabilitated hundreds of aggressive, scared, lazy, compulsive and unbalanced dogs, as well as the families that were usually in the dark about how their own behaviour contributed to their dogs’ misbehaviours. Dog Whisperer with Cesar Millan ran for 12 years in more than 100 countries. Through “Cesar Millan’s Dog Nation” Millan and his eldest son Andre Millan criss-cross the United States to work with non-profit organizations and dog lovers that are helping to save millions of dogs around the country. He delivers his unmatched ability to rehabilitate K-9s who need him the most and reach communities calling for his help. “Cesar’s Recruit Asia” is his latest TV series, where Cesar Millan heads to Asia in search of the region’s very best dog trainer. Cesar is looking for a unique talent to become a local leader in his global missions to prevent dog abandonment, and to help desperate dog owners achieve harmony with their pets. Other TV series featuring and hosted by Millan also include Cesar 911, Cesar to the Rescue, and Mutt & Stuff. 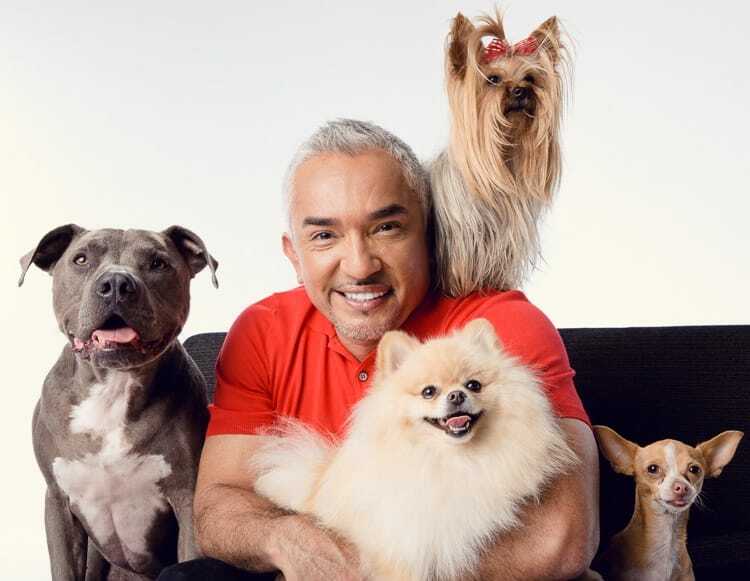 Besides hosting, he is also executive producer of “Cesar Millan’s Dog Nation,” “Cesar 911,” and, “Mutt and Stuff” a children’s show on Nickelodeon networks. After a successful career filled with many accomplishments, Cesar released a documentary that — for the first time — documented his life from illegally entering the United States and living in poverty to becoming the international icon that he is today. The one-hour special, entitled “Cesar Millan: The Real Story,” aired on November 2012 on Nat Geo WILD, showcasing his unique life. Millan has said, “My goal in rehabilitating dogs and training people is to create balanced relationships between humans and canines.” In 2009, The New York Times attributed Millan’s success to his personal sense of balance, describing this as “a sort of über-balanced mien.” One of his key philosophies in his work is often centred around “achieving balance and harmony”. Millan’s work focuses on handling a dog with what he calls “calm-assertive energy.” He believes that dog owners should establish their role as calm-assertive pack leaders. According to Millan, dogs have three primary needs: exercise, discipline and affection — in that order. Body, mind, and heart are just another way of saying instinct, intellect, and emotion. 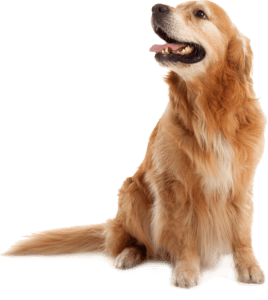 In other words, it is the owner’s responsibility to fulfil the dog’s energy level needs through challenging exercise; then to provide clearly communicated rules, boundaries and limitations; and finally, to provide affection. “I rehabilitate dogs, I train people.” According to Millan, a common pitfall for American dog owners is to give a great deal of affection with very little exercise and even less discipline. 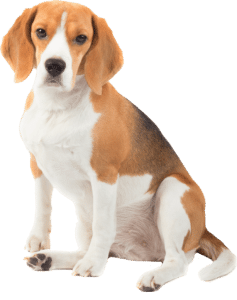 He encourages owners to understand the effect their own attitudes, internal emotions and physical postures have on a dog’s behaviour, counselling owners to hold strong posture (i.e., shoulders high and chest forward) and to project energy that is calm-assertive. Millan’s TV programs show him at work rehabilitating dogs and conversing with owners in order to educate them in his dog-handling philosophy. The conversations with owners typically revolve around his philosophy that healthy, balanced dogs require strong “pack leadership” from their owners, specifically in the form of exercise, discipline, and affection, with Millan demonstrating how owners can achieve and maintain a leadership role with their dogs. One of the things Cesar is best known for is his use of the sound “tsch”“ to correct dogs, which he credits to his mother. He explains that “training your dog to respond to a specific sound by going into a calm, submissive state is a very powerful tool for establishing yourself as Pack Leader”. Cesar opened his first Dog Psychology Center, a two-acre facility in South Los Angeles, designed to rehabilitate troubled, aggressive, and condemned dogs. The Center, which housed a pack of thirty to forty “un-adoptable” and abandoned dogs, was moved to the Santa Clarita Valley to allow for expansion and modernization and now covers over 43 acres, including a sheepherding area, swimming pool, agility course, and hiking trails. Cesar Millan and Yale University’s School of the 21st Century also developed and conducted a study and launched the Mutt-i-grees curriculum, which aims to teach children about social and emotional intelligence, using natural instincts to develop care and compassion — not only to other people, but also to shelter dogs. Cesar believes that “No dog is too much for me to handle. I rehabilitate dogs, I train people,” and sees the gap in the market due to lack of proper avenues for dog behaviour education. Beyond canine conversations, Cesar is a firm believer in educating humans in proper pet care, and in turn relating that learning to human behaviour in general. Cesar is also an animated motivational speaker where his adventurous journey to Cesar’s Way makes for a fascinating tale. There’s nothing like seeing Cesar Millan LIVE. Cesar is truly the Pack Leader you’ve imagined. He is more animated, spontaneous, and fun than you would expect, connecting with the audience in a conversation about his values, principles and methods. Seen in person, his demonstrations come to life, and his gift with dogs becomes more evident than ever. It’s a remarkable, enlightening and moving experience. Cesar recently shared his secrets on transforming dogs and their owners on his all-new “Once Upon a Dog Tour” which recently concluded a successful sold-out European run. Millan is also known for conducting motivational talks with topics aimed at motivating humans to be calm and assertive leaders, or how to draw upon the wisdom of the canine. In his latest book, Lessons from the Pack: Stories of the Dogs Who Changed My Life, Millan recounts difficult experiences from his life, and how dogs consistently taught him skills he needed to deal with those challenges. On Valentine’s Day 2007, Millan officially launched the Cesar Millan Foundation, a national, non-profit organization designed to aid and support the rescue, rehabilitation, and placement of abused and abandoned dogs. The cornerstone initiatives include Shelter Stars, an affiliate program created in 2009 that promotes positive, healthy relationships between families and the dogs they adopt; a Spay/Neuter education and awareness campaign about the overpopulation of pets(which leads to over 4.5 million euthanized animals every year), including a public service announcement directed at the Spanish-speaking population. Growing from the successful Cesar Millan Foundation established in 2007, Millan officially launched his latest charity in 2015, the Cesar Millan PACK Project, a national, non-profit organization designed to improve the health, happiness and harmony of dogs and people while helping both species learn from and support each other. Its recent campaign with Zappos helped with 11,000 canine adoptions. Millan has co-authored seven books, including the New York Times #1 Bestseller Cesar’s Way, the New York Times Bestseller Be the Pack Leader, A Member of the Family, How to Raise the Perfect Dog, Cesar’s Rules, Cesar Millan’s Short Guide to a Happy Dog, and, most recently, Cesar Millan’s Lessons from the Pack. He also has a series of informative instructional videos for dog-owners including Cesar Millan’s Mastering Leadership Series; Essentials of Dog Behavior, Dog Whisperer with Cesar Millan; Cesar Millan’s Leader of the Pack (2013); Cesar Millan: Love My Pit Bull (2014); Cesar 911 (2014); Cesar to the Rescue Asia (2014); Cesar Millan: Viva Las Vegas (2015); Mutt & Stuff; Cesar’s Recruit Asia (2017); and Cesar Millan’s Dog Nation (2017). Cesar Millan’s two sons, Andre and Calvin, are following in his footsteps and making their own mark in the canine industry. His eldest son, Andre Millan, joined his father across the United States to showcase the work of non-profit organizations and dog lovers that are helping to save millions of dogs around the country in Dog Nation. Andre also hosted an all-new web series, “What’s Up Dawg!”, which brings viewers up-close and personal to dog-related news and events, and appears on the television show “Pet Talk” on Nat Geo WILD. Cesar’s younger son, Calvin Millan, is the Emmy-nominated host of Mutt & Stuff, a live-action series for preschoolers set in a unique school for dogs. Calvin interacts with a cast of both real dogs and puppets at a canine school called Mutt & Stuff. In addition to adorable puppies and unbelievable dog tricks, the series balances moments of heart and comedy with a social-emotional curriculum that helps preschoolers with identifying and managing emotions, building interpersonal awareness, and developing social skills. The show also carries a message of pet adoption and responsible pet care based on Cesar Millan’s philosophies.